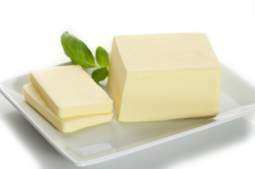 For half a century now we've been told that saturated fats are bad for us. Why is that exactly? Because it will clog our arteries and damage our heart. But how do we know this? One would assume that there is lots of scientific data to back up these claims. But the truth of the matter is that no one has actually proved it. It is not, in fact, a fact! And the data used to make these claims are dubious at best. Trans fatty acids are the ones linked to heart disease - and we do have very strong research to back that up. Saturated fats are heart healthy and support the immune system, as are monounsaturated fats like olive oil. How can I say that? Before the 1950's, there was very little heart disease in the United States. Only after World War II did we really start to see heart disease rates rise. Actually, sky rocket might be the better term. Let's take a step back to before the increase in heart disease. Back when the food industry touted that coconut oil (a highly saturated fat) was the best oil for baking and cooking. Many people have forgotten that coconut oil used to be a significant part of the American diet. Meat, butter and lard were too, by the way. We ate all these kinds of fats for decades, yet heart disease was incredibly rare. Then during WWII, the Japanese took over most of the South Pacific and the Philippines. Americans were cut off from their suppliers of coconut oil and an alternative oil was needed. This is when the polyunsaturated oils began to be manufactured. It wasn't too long after this that heart disease rates really started taking off. Now I can hear some of you saying that coconut oil has been proven to be bad for our hearts. And yes, there are studies out there that say that very thing. What you might not know is those studies were done with hydrogenated coconut oil, also known as trans fatty acids! When studies are done with organic coconut oil that has not been hydrogenated or partially hydrogenated, there is much evidence that shows coconut oil benefits your health. Just some food for thought. They keep our cell membranes strong and firm. They are needed for calcium to be drawn into our bones. They allow the retention of the critical omega-3 fatty acids in our tissues. They are the most stable of the fats which make them the best choice for cooking. They protect the liver from the toxins produced from alcohol and certain other drugs.